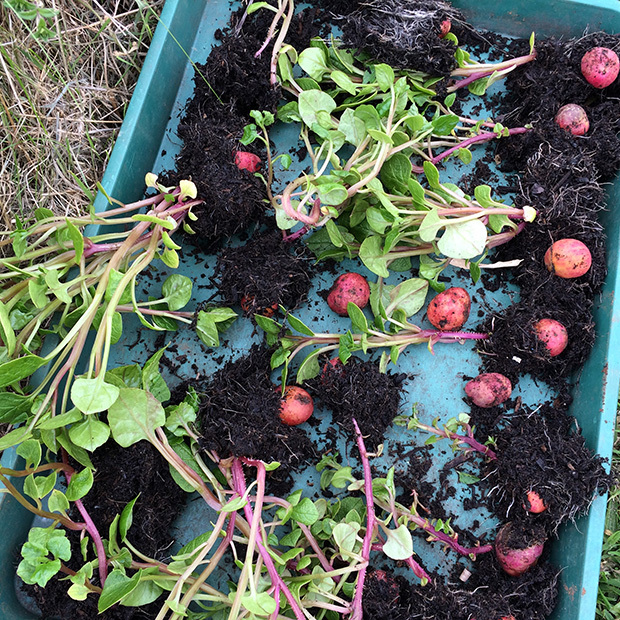 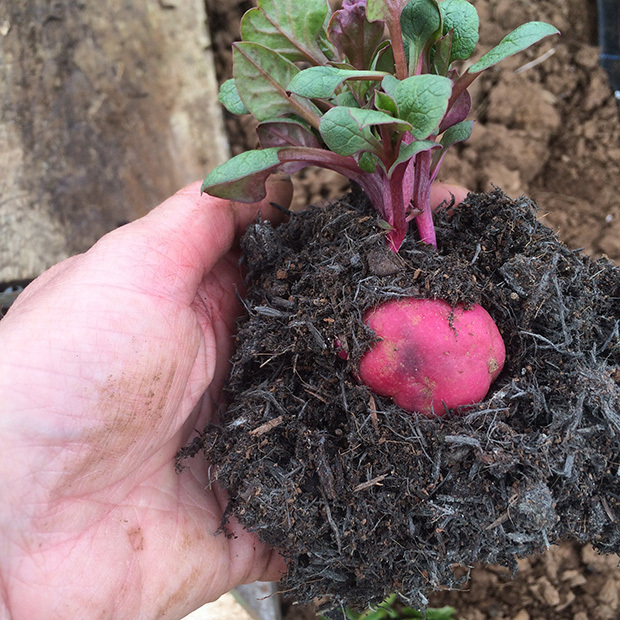 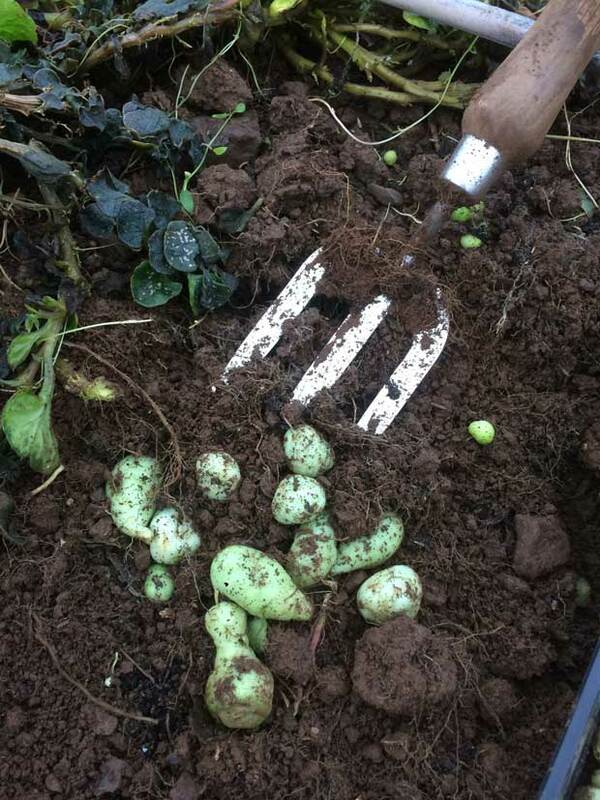 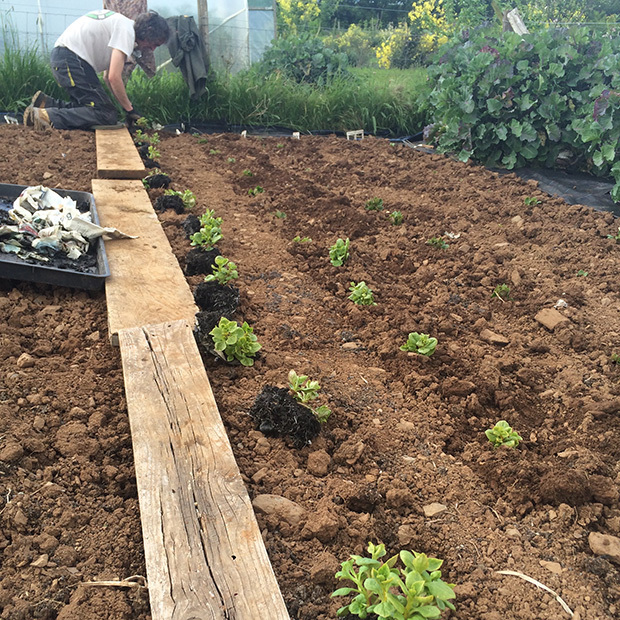 Start your tubers off in batches, cover with damp compost with the sprouted tip just above the surface. 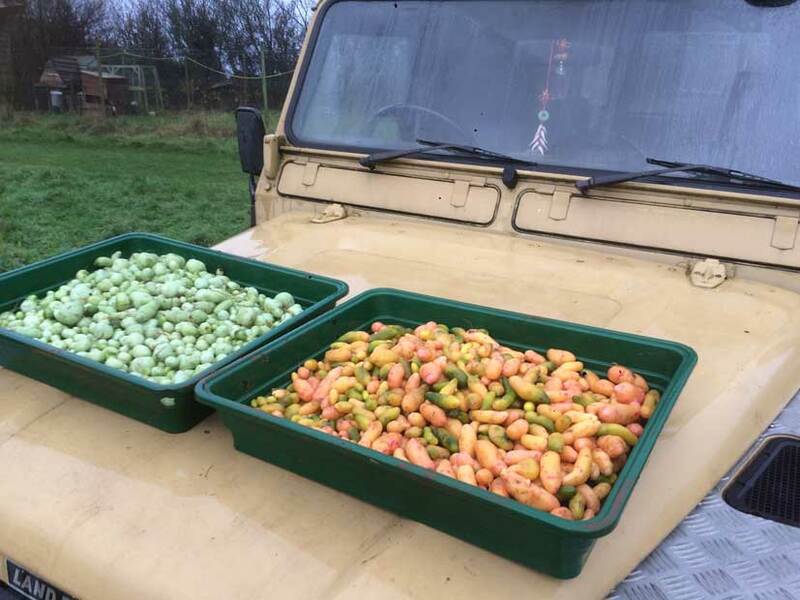 Keep moist. 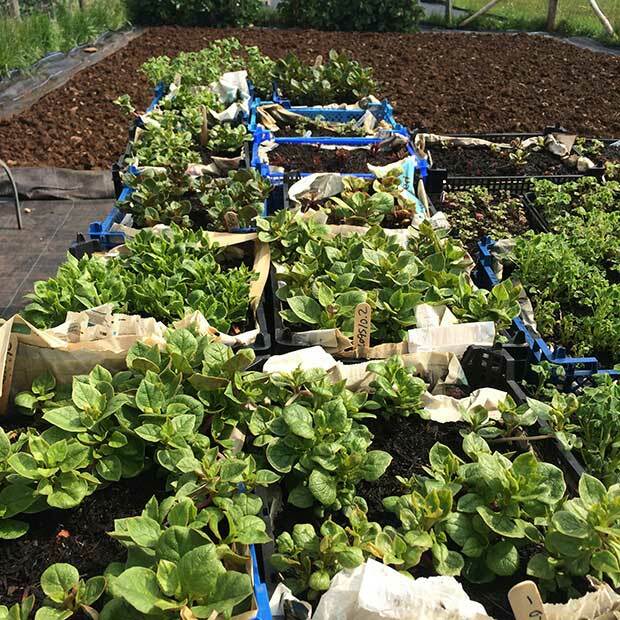 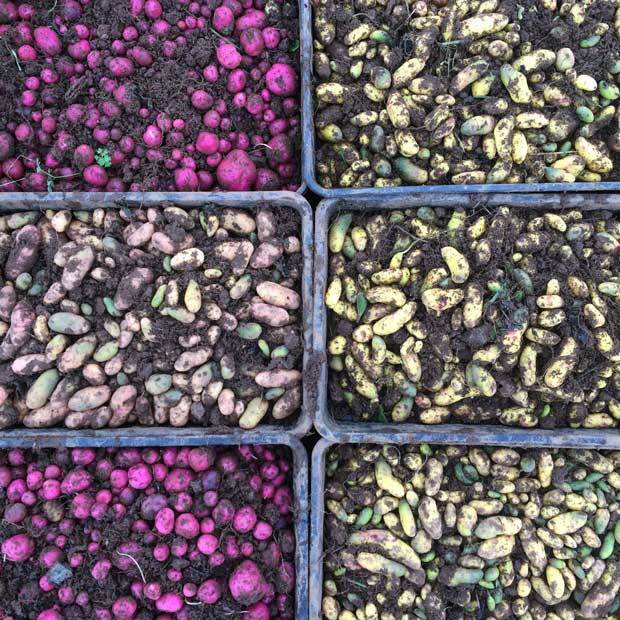 These have been sprouted in trays in the polytunnel and will be planted out after being hardened off outside in mid to late May. 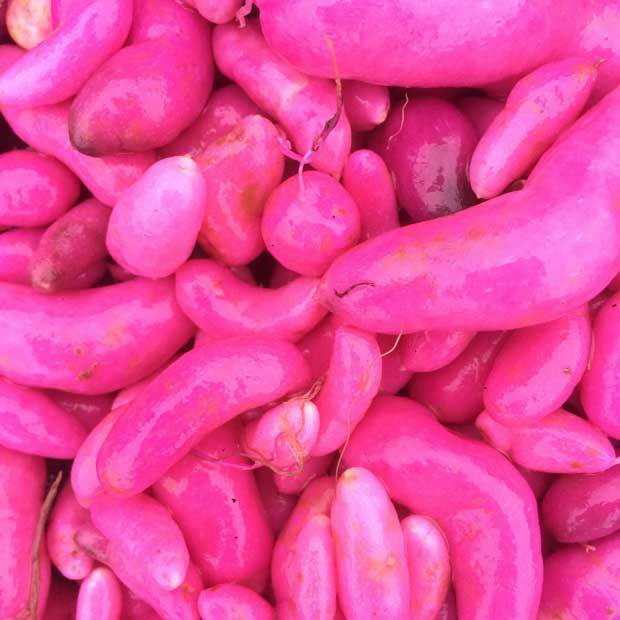 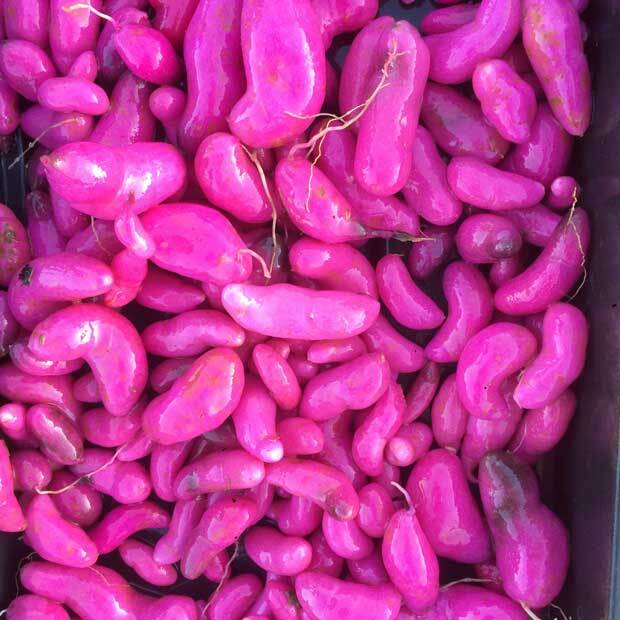 Ulluco ready to plant, sprouted purple tuber that is ready to go in the ground. 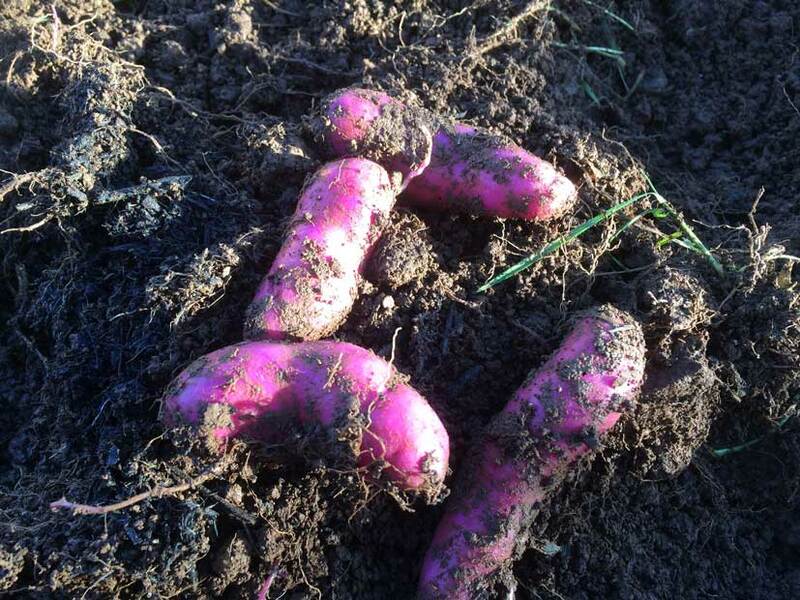 handle with care as stems are fragile at this stage. 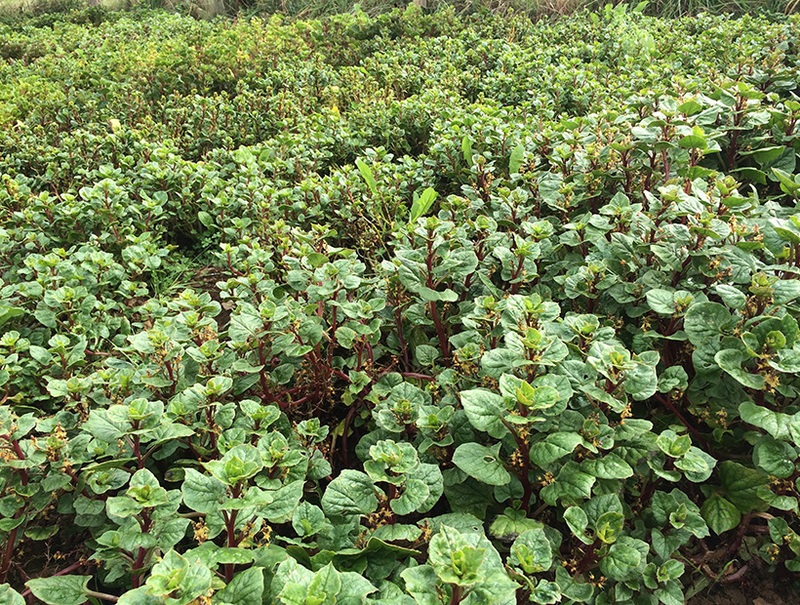 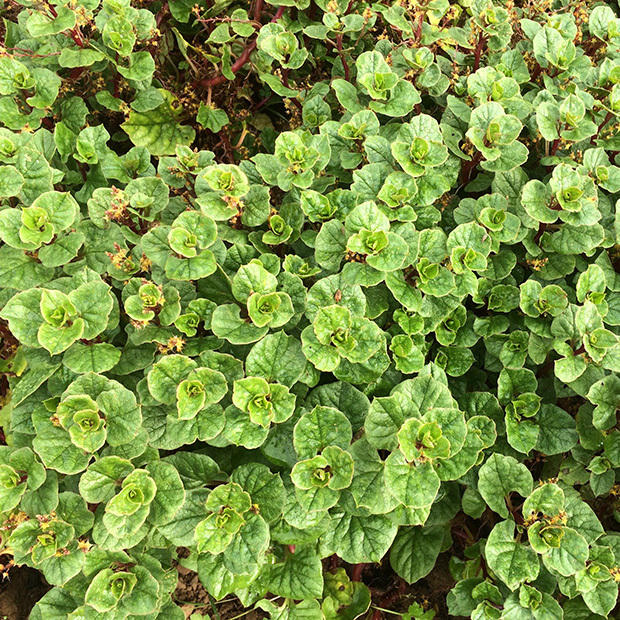 It’s late summer and the Ulluco has formed a dense ground cover. 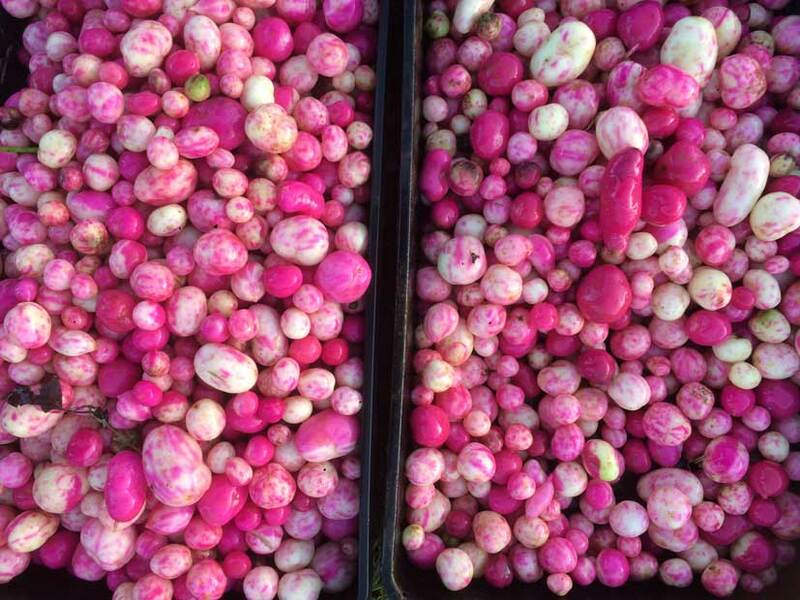 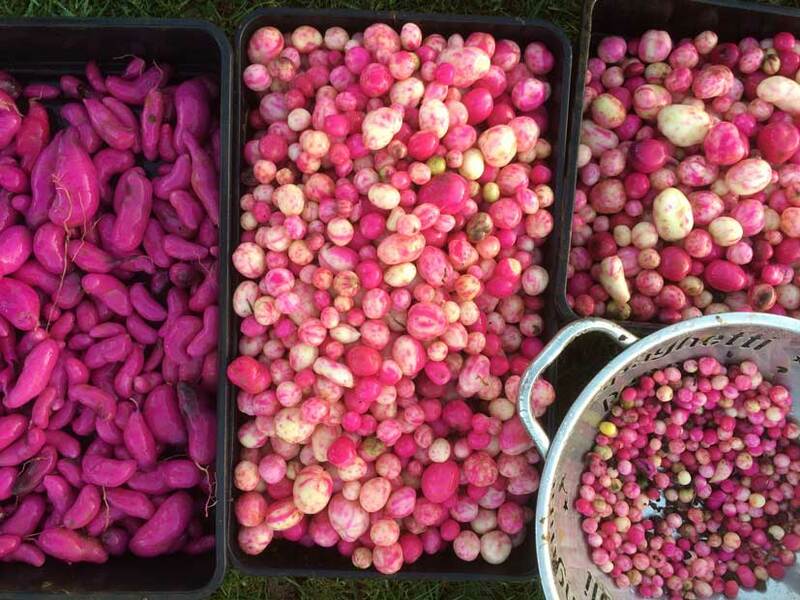 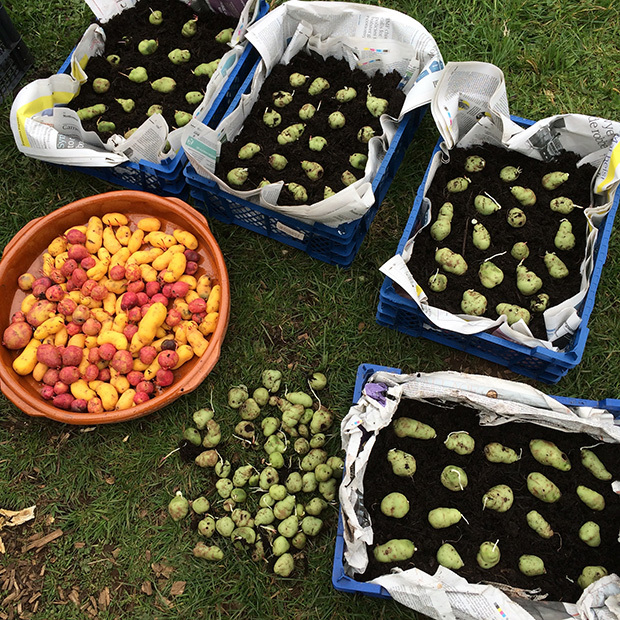 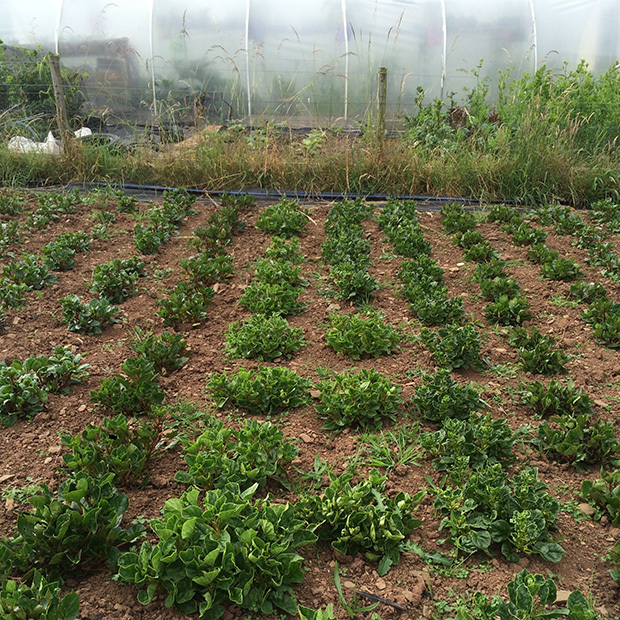 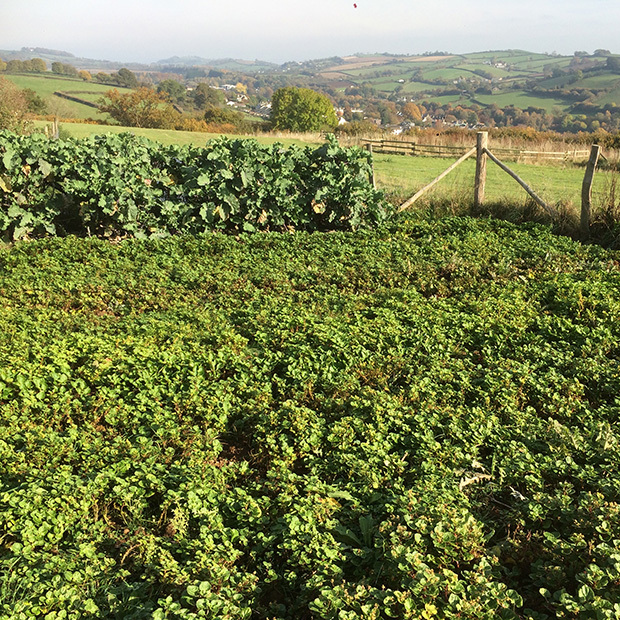 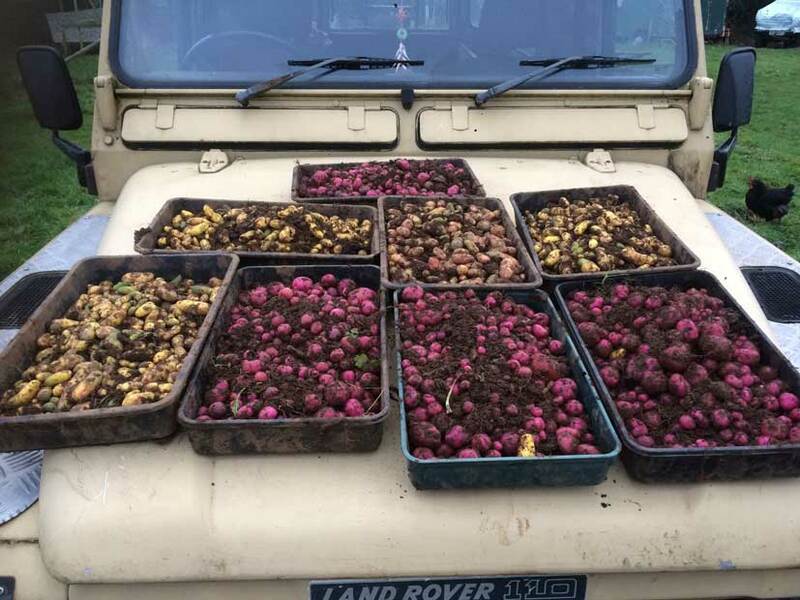 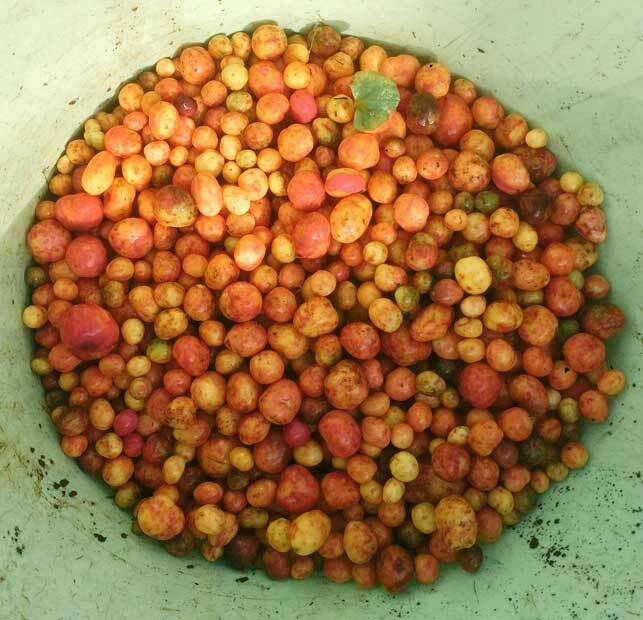 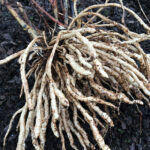 Harvested Ulluco, before the tubers have been washed and sorted. 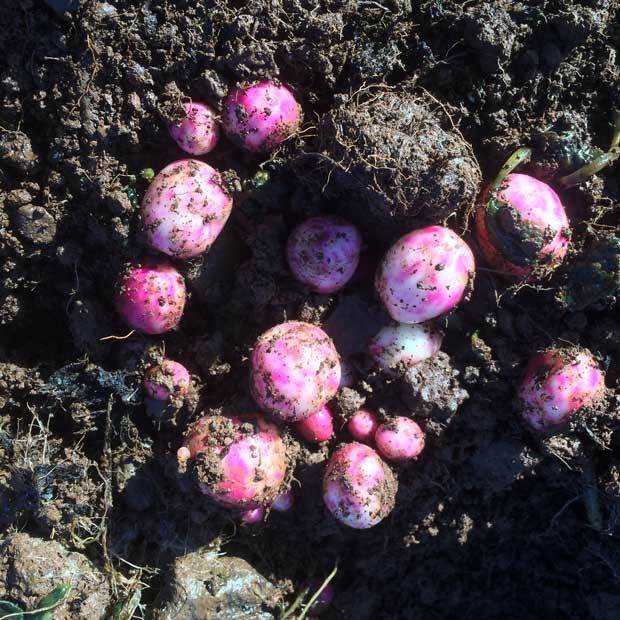 Purple Ulluco tumble out of the ground. 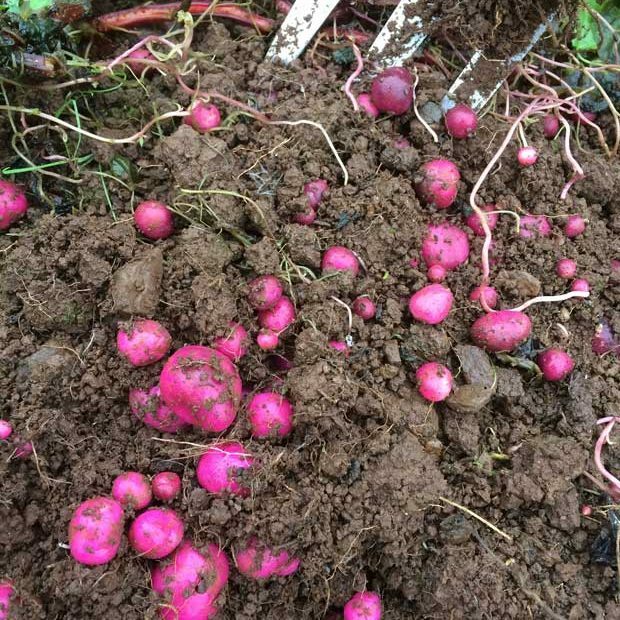 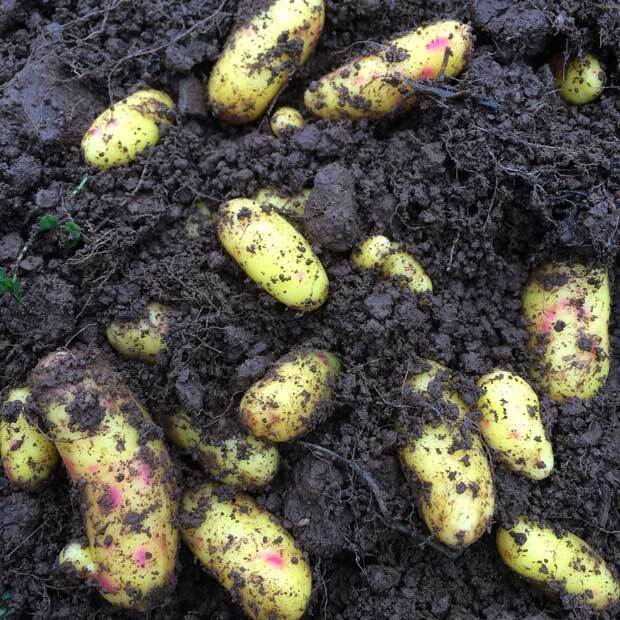 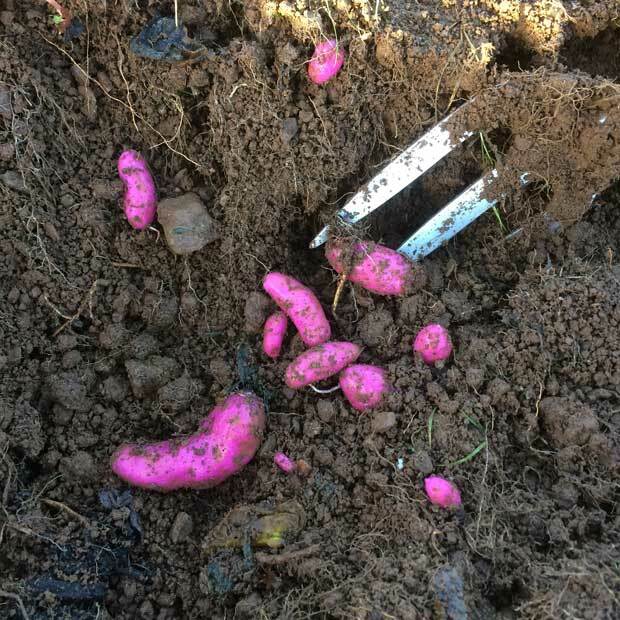 Brilliant long yellow tubers with pink spots/flecks. 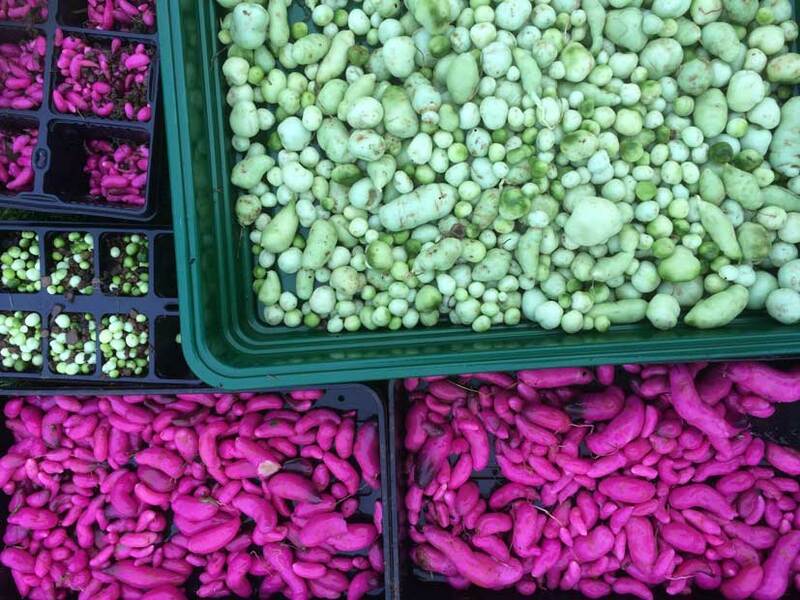 A tray of Cusco Market Ulluco (on the right) washed and ready to go. 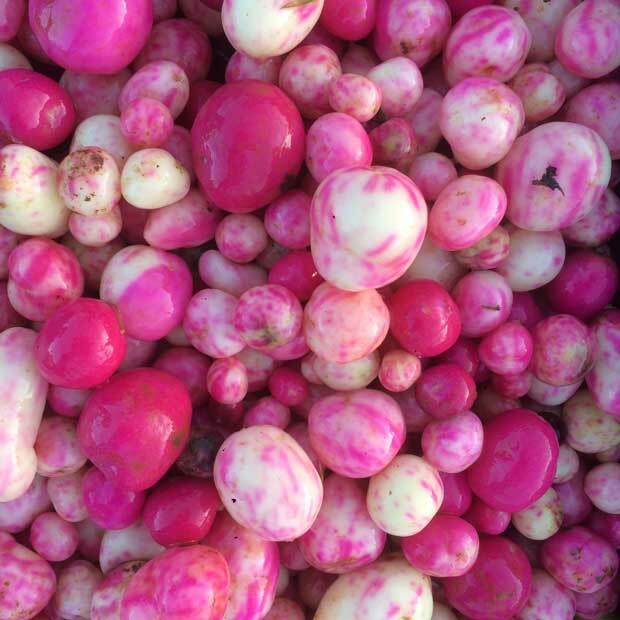 The intense colour and beauty of Colombian Long Red and White spotted Ulluco. 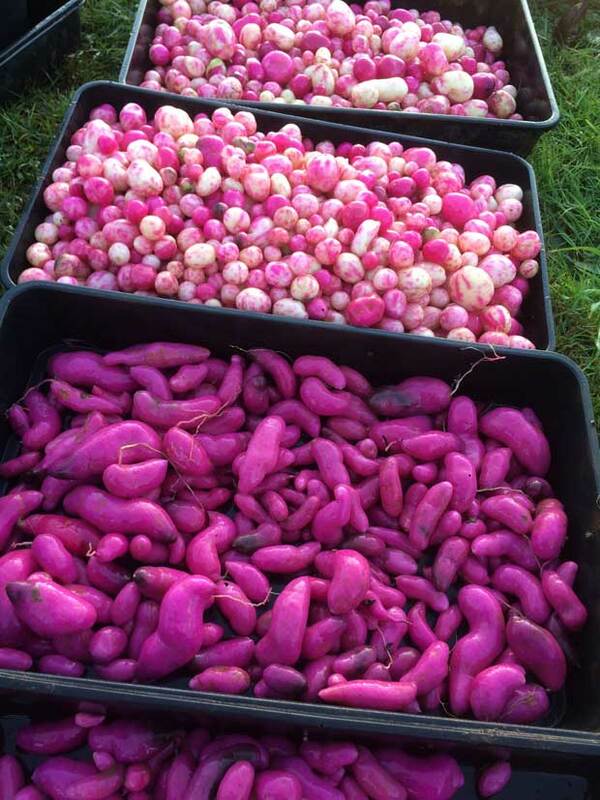 Freshly washed tubers are the most intense violet colour. 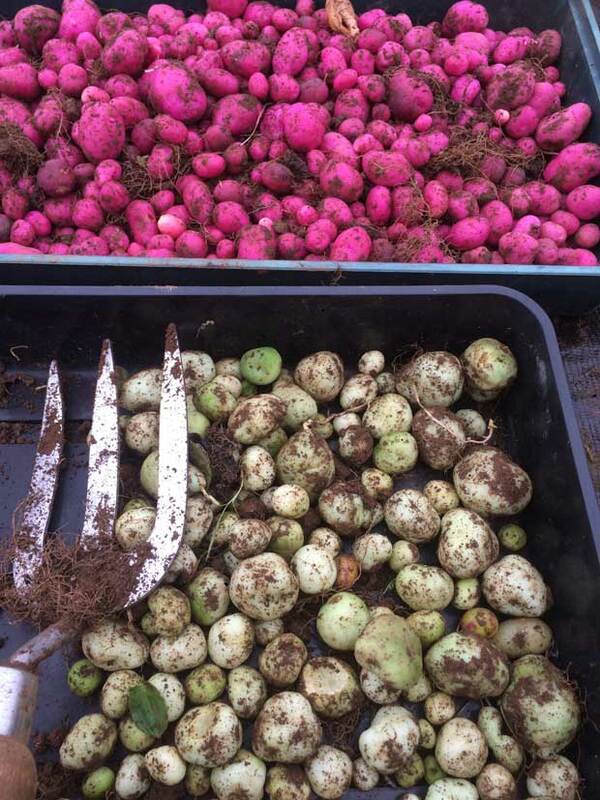 Freshly washed tubers, small and medium sized. 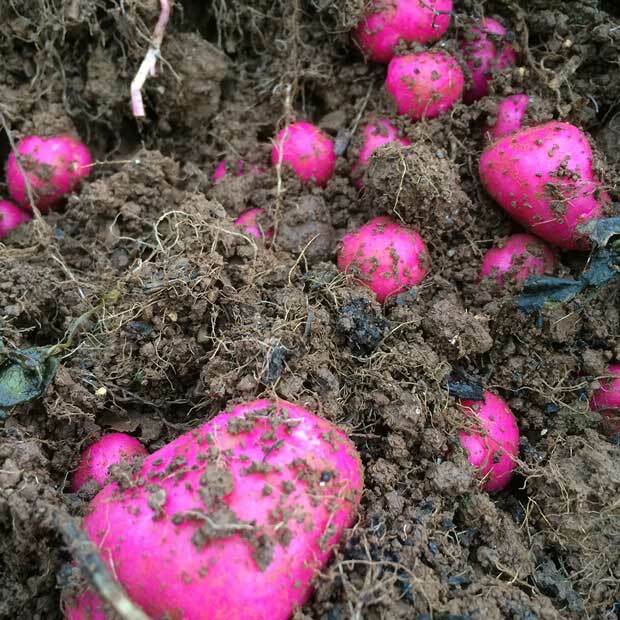 These look amazing emerging from the ground. 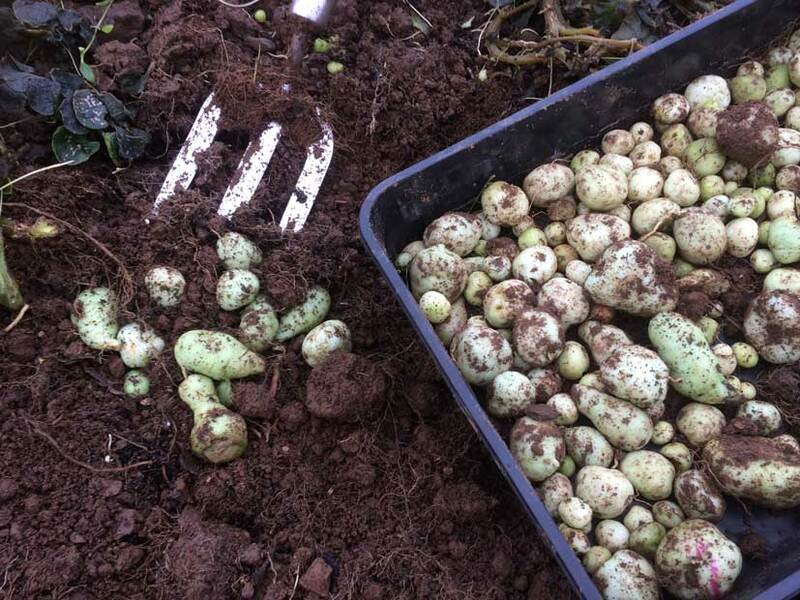 Some of the larger sized tubers just harvested. 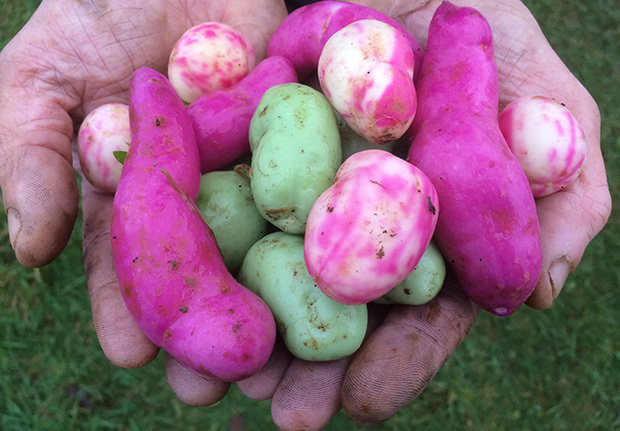 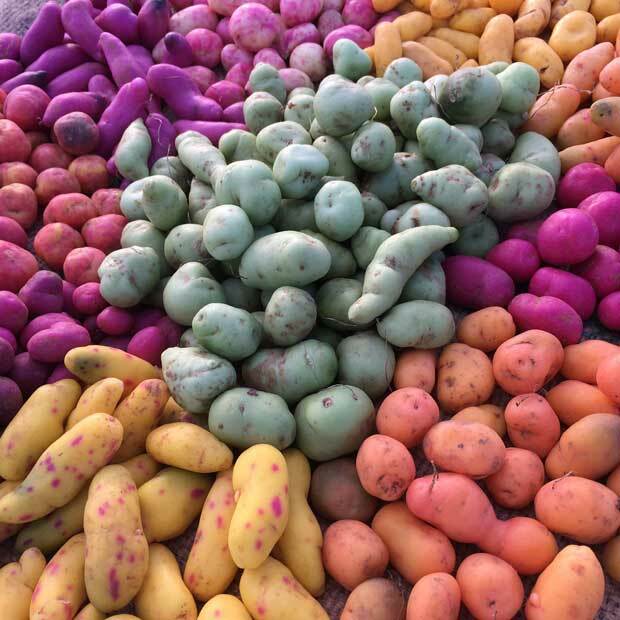 Full size tubers can reach 8cm in length. 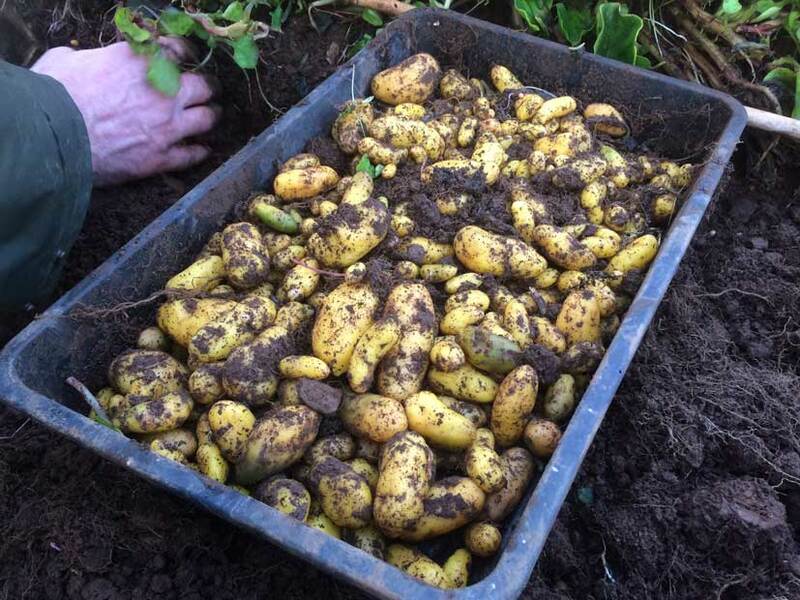 This is the largest size that Spotted White can get, the size of a small new potato. 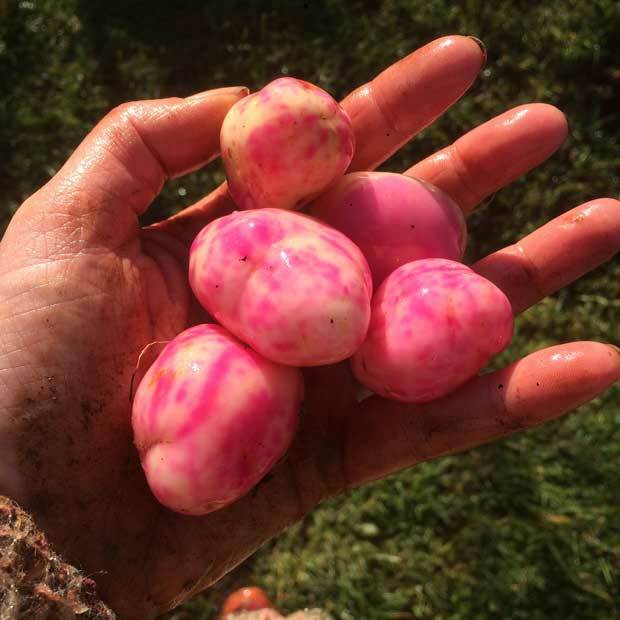 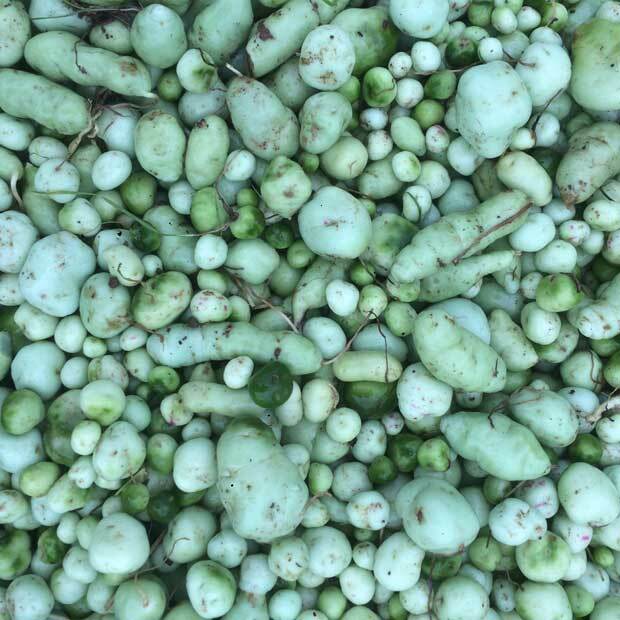 Spotted White Ulluco just harvested from the ground. 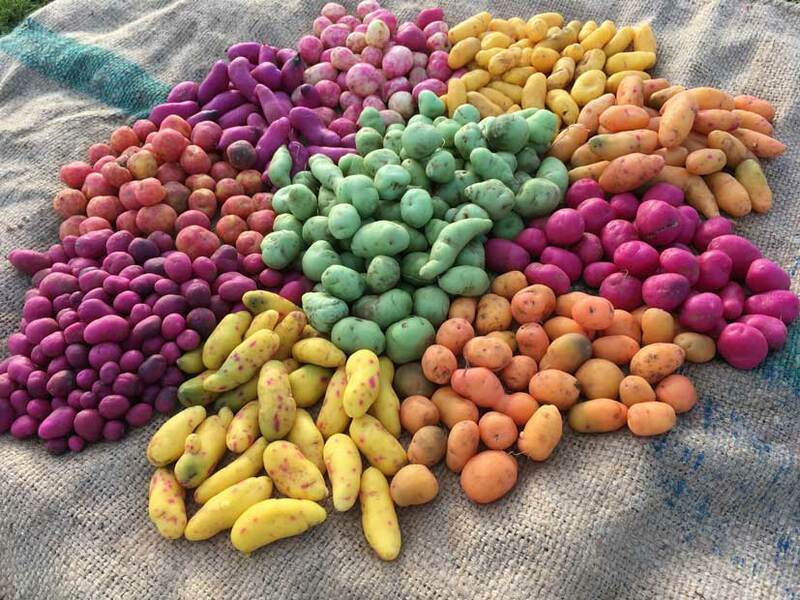 Yellow Ulluco is one of the more well known varieties. 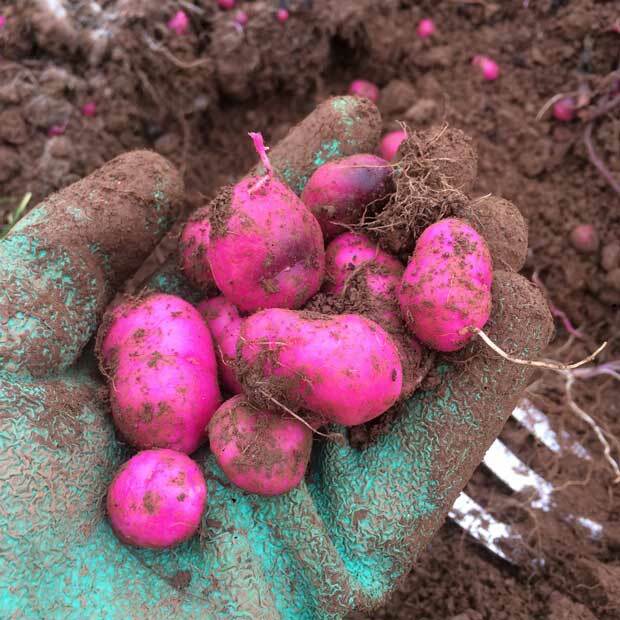 Ravelo Lisa, our highest yielding variety in 2016. 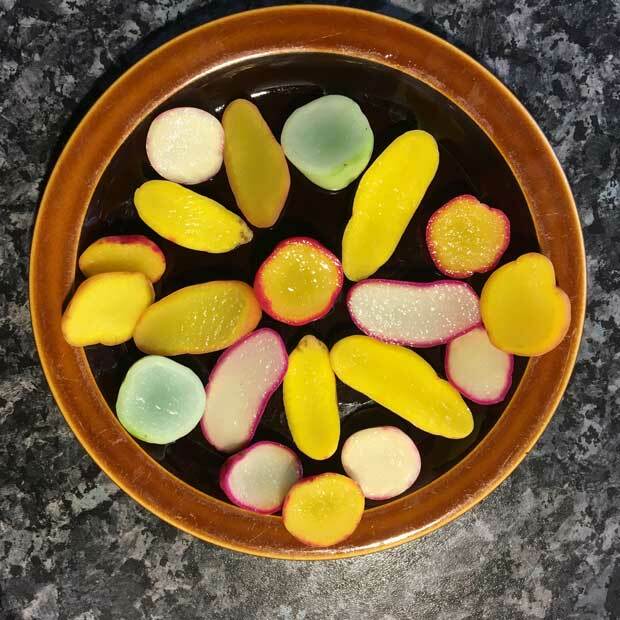 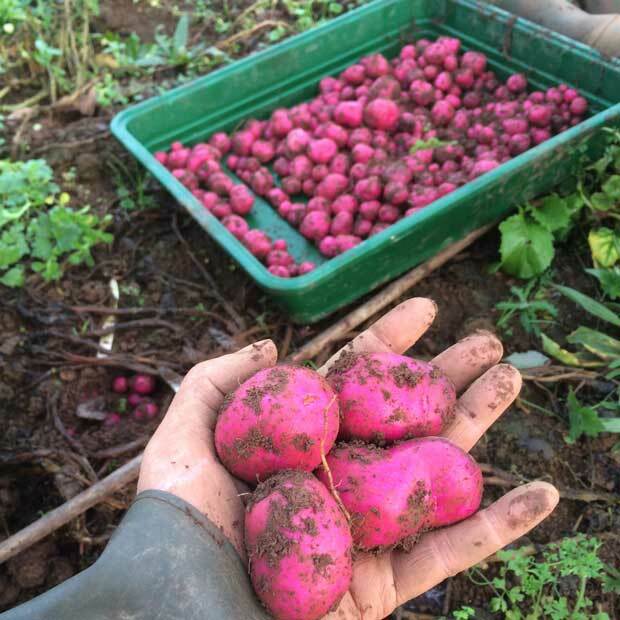 Chugua Roja have intense purple skins and white crisp flesh. 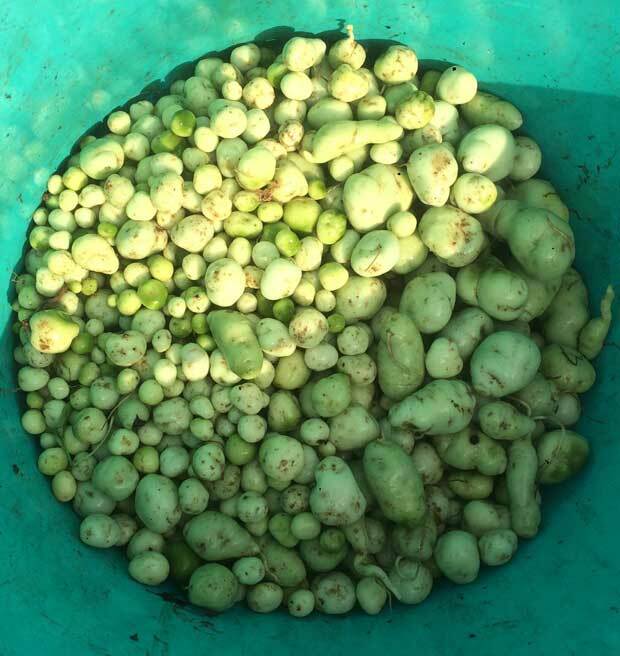 This image shows some of the larger size purple Ulluco and the potential size they can reach. 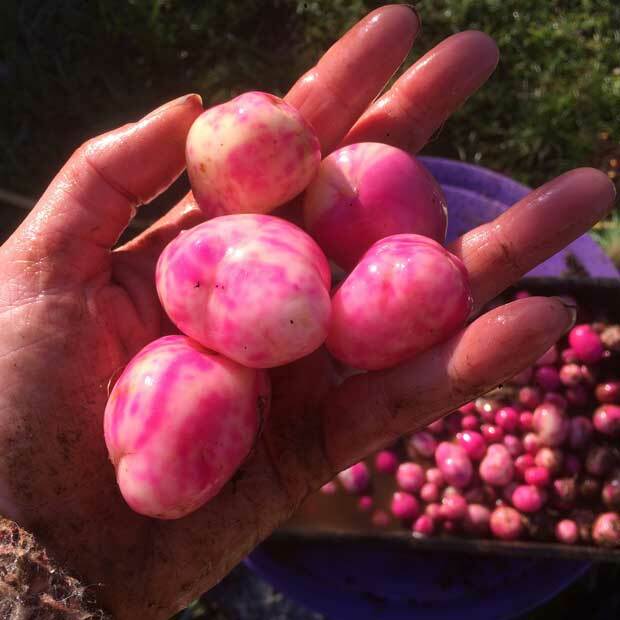 Dazzling purple Ulluco emerging from the ground. 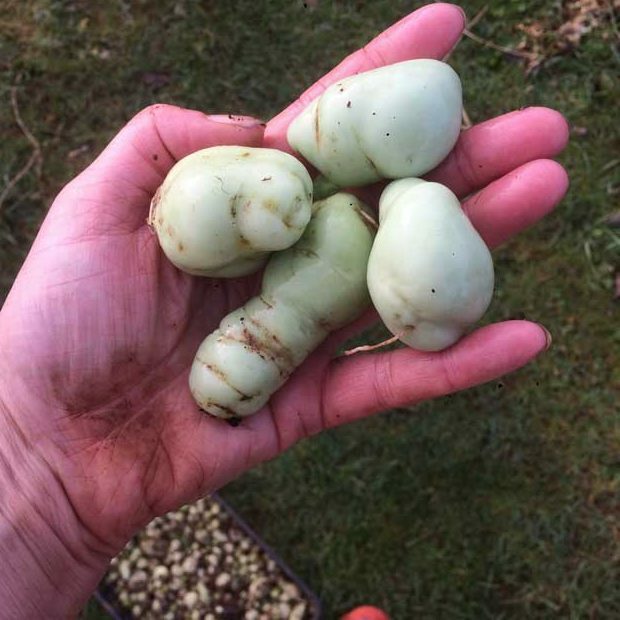 Some of the larger white spotted Ulluco tubers harvested in December 2016.